The eighth annual Free Fall Baltimore returns on October 1 through October 31, 2013! 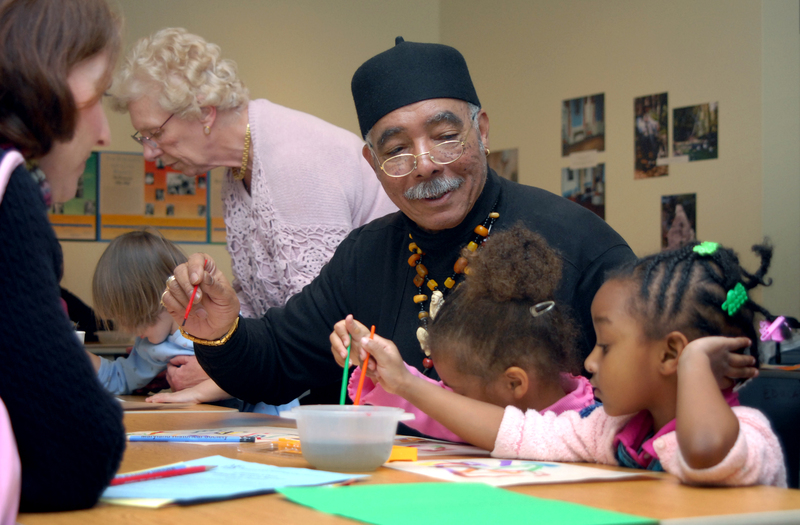 During the city-wide arts celebration, Baltimore City arts organizations present hundreds of FREE arts activities including dance, music and theater performances, art exhibitions, free admission to museums, walking tours, festivals and workshops. 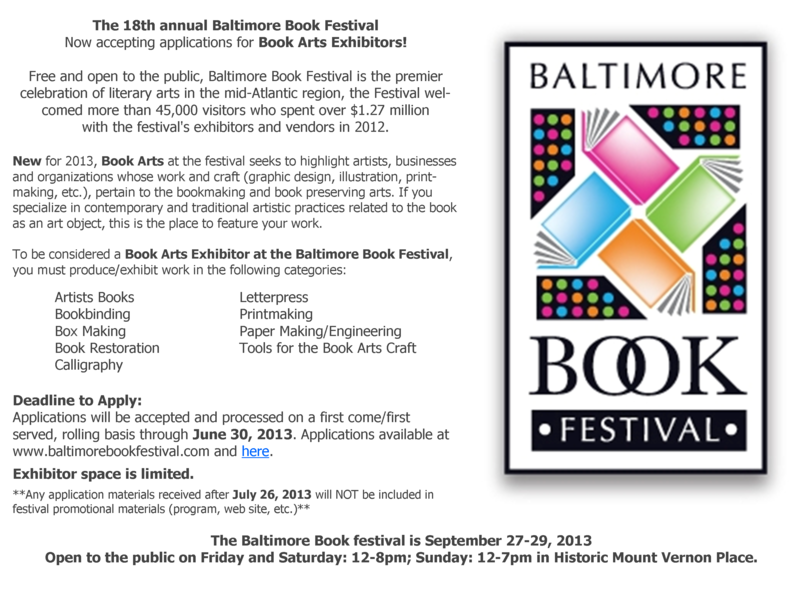 New for 2013: Book Arts at the Baltimore Book Festival! Maryland Art Place (MAP) is seeking artists working in a diverse range of media for a Regional Juried Exhibition, opening September 19, 2013. The exhibition is intended to explore the contemporary, cultural climate of Maryland, Delaware and Pennsylvania. Submissions will initially be vetted by MAP’s Program Advisory Committee and juried by Kristen Hileman, the Curator of Contemporary Art and Department Head at the Baltimore Museum of Art.More information and submission details on MAP’s website. Join Baltimore Housing for to learn all you need to know about restoring value to Baltimore’s vacant properties. Visit exhibit booths, attend educational seminars, speak with industry professionals, and take a self-guided tour of renovated or ready-for-rehab properties. Admission is free, but pre-registration is required. For more information, call 410-396-4111 or email V2V@baltimorecity.gov. To learn more about Vacants to Value, visit www.baltimorehousing.org/vacants_to_value.aspx. Drawing on seven years of work with artists locally and nationally, artist leaders will outline approaches for reconnecting with our deep values, building community, and slaying the two demons of the artist’s life: time and money. How much does it cost? It’s free (but the class size is limited). Who is it for? Any Baltimore artist. Do you have to attend both sessions? Yes. Will there be beverages? Of course. And lunch on Saturday. Support for Artists U/Baltimore comes from The Deutsch Foundation, The William G. Baker, Jr. Memorial Fund, creator of the Baker Artist Awards www.BakerArtistAwards.org, The Surdna Foundation, The William Penn Foundation, and The Wyncote Foundation, and Leveraging Investments in Creativity. — a new series of “on the ground” experiences designed to highlight and promote the arts in cities and towns from across the state of Maryland. Each Curate Maryland event will spotlight a selection of one town’s local arts organizations while also fostering dialogue about issues that concern arts advocates at all levels of governance. In essence, Curate Maryland is a site specific celebration, one city or town at a time, by arts lovers from around the state (think pub crawl for arts advocacy). On May 18th, come spend some time in Hagerstown and connect to the town’s rich cultural offerings and people. Click here for more information. Brought to you by Maryland Citizens for the Arts.